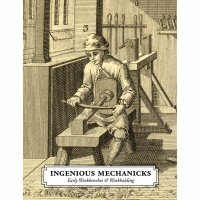 In this book by Chris Schwarz the reader is given extraordinary insights into workbench constructions of days long gone, which help to equip modern workbenches with additional useful functions. Without having any original instructions to refer to, for more than three years, Chris Schwarz constructed workbenches based on historical paintings and conserved models from Pompeii to Rome to see if and how they worked. The simple designs have many advantages and can be built in a few days in a material- and cost-efficient manner. They can be worked with in a seated position and some clamping possibilities even exceed the functions of modern vices or shaving horses.